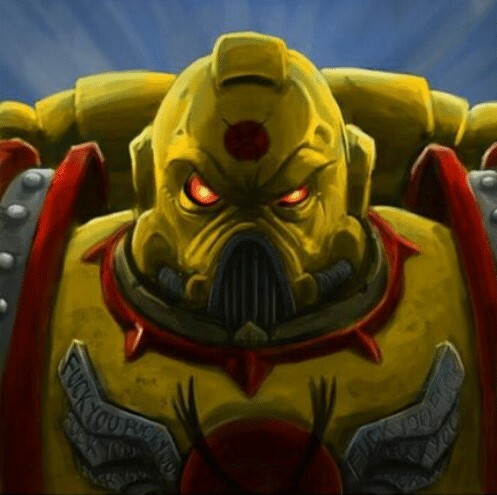 Implementing the 40k meme army of Angry Marines into the Dawn of War RTS game! Well... here it is! Hope you have fun with this meme mod, not much else to say, hehe! Below is the updated "Readme" if you'd like to go through. Enjoy! PS - Let me know if there are any issues with the download! 1) Unzip files "AngryMarines" folder and "AngryMarines" module in Angry 2.0. 2) Transfer to root game. Eg: "C:\Program Files\THQ\Dawn of War - Soulstorm"
- Created playable Angry Marine race as a new faction. - Reference based on 7th and 8th Angry Marine Codex as well as the Angry Marine Mod for Dawn of War 3. - Fixed colour bleeding and scar issues. - Custom models and textures. and everyone else it concerns! Nice update. The voices are a little... weird... when mixed with the old vanilla voices, but pretty funny. Interesting selection of units and abilities. Overall, very fun and interesting little (big) mod. Ah thanks CornCobMan! It’s only my first attempt at voicing actually and I got really tired voicing all of them after so many, I know it’s not the greatest haha I just tried my best at giving them the right meme-ish personality. this mod is really fun, nice! Glad you had fun, brotha!